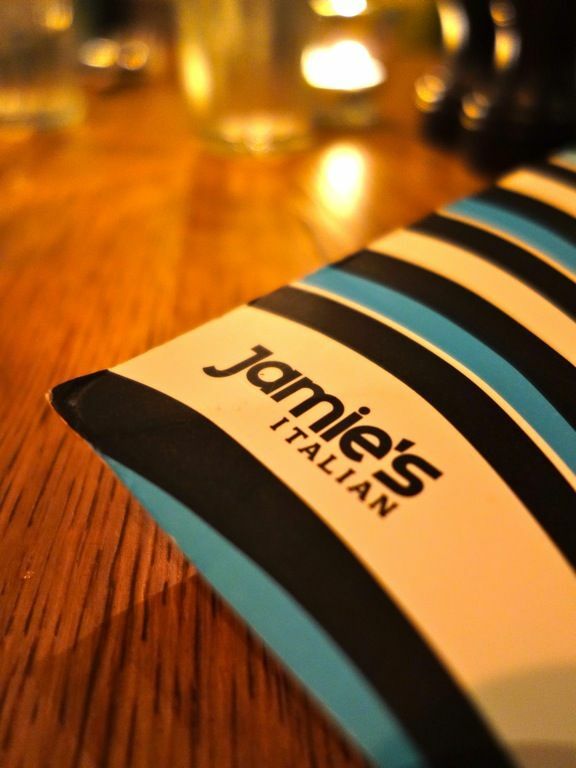 I'm but a little late in visiting Jamie's Italian at Vivocity Singapore since their opening in July, but the long queues and the lacklustre reviews just made it too easy to put off. But don't write Jamie's off just yet! A recent visit to sample their updated menu left me walking away satisfied and looking forward to the next visit. Just four months into Singapore and the restaurant has added 15 new dishes from the UK menu which includes some seasonal produce. Most of the dishes we tried were the additions but i also made it a point to order some tried and tested dishes. 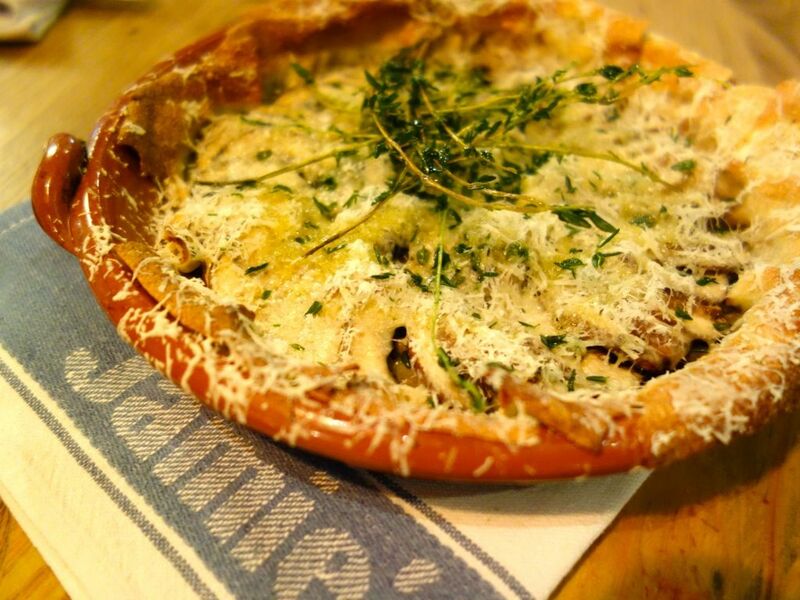 We started with the Baked Mushrooms ($12.50). Swiss browns are thinly sliced and layered on top of the Carta di Musica (a Sardinian-style thin bread) which has been dipped in the juice from the mozzarella, and baked with smoked scamorza cheese, Hay smoked mozzarella, sprigs of thyme, parmesan and olive oil. The flavors were rather earthy and i thought it was a little on the dry side but it does make for a good cracker replacement for breads. 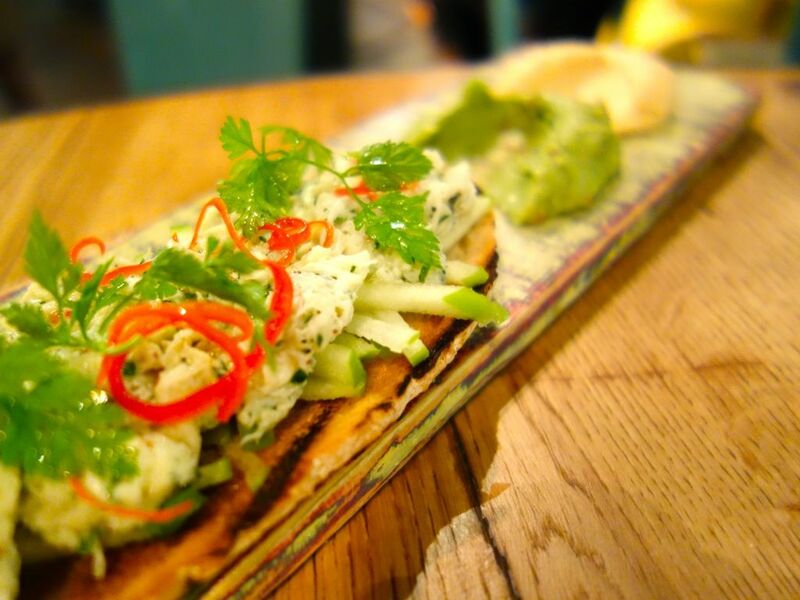 I couldn't resist the newly added Crab and Avocado Bruschetta ($14.50). A thinly crisped sourdough is topped with green apple sticks and crab that has been mixed with natural yoghurt, mint, parsley and chillies. Spread a little of the smashed avocado (ripe avocados blended with basil, lemon juice and red chilli) and whipped buffalo ricotta (blended with brown crabmeat and lemon juice and zest) and pop it whole. The flavors are guaranteed to blow you away. Other must orders include the Crispy Squid and the Stuffed Risotto Balls (both $11.50 each). I must admit that the mixed reviews on the pastas has deterred me from ordering them. 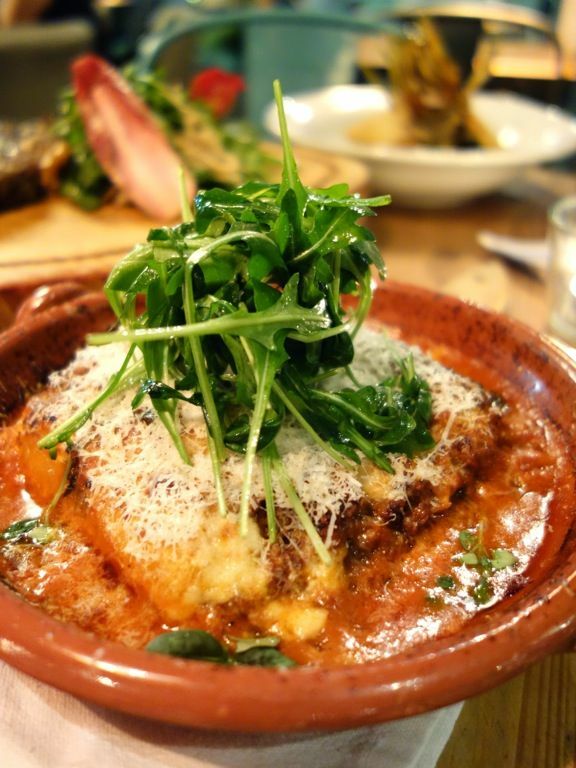 So we went with another new addition, the Simple Baked Lasagne ($24). Trust me, there was nothing simple about it. A rich and tart ragu of minced beef and pork, is cooked for 2.5 hours with red wine, tomatoes, and stock. This is layered between Jamie's homemade lasagne sheets, with sweet roasted squash (LURVVE) and a thick and silky béchamel sauce. Finally it's baked with a tomato and basil passata, and finished with grated Parmesan and a fresh rocket salad. While the pasta sheet was quite dense and raw-ish (apparently very Italian), i enjoyed the combination of a tangy and chunky sauce and the sweet pumpkin. It's a little dry but it's awesome. Other recommendations for carbs include the Tagliatelle Bolognese and Wild Truffle Risotto. The highlight of my meal was undoubtedly the 30 Day Matured Prime Rib ($59.80), a 350g Angus breed bone-in strip loin served with wild mushrooms and peppery endives. 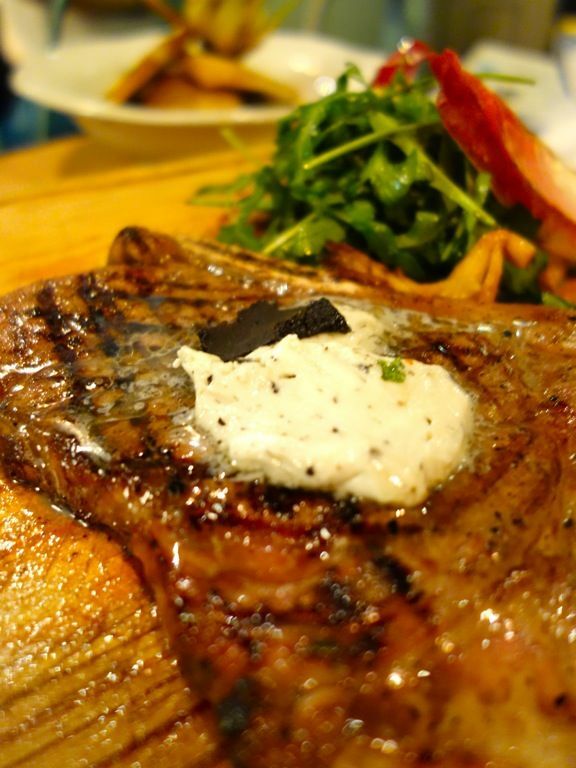 The juicy slab is cooked on the grill al Mattone which seals in the juices. Go for the pimped version (add $5) for a disc of truffle butter and shaved black truffles. The medium rare version was absolutely bloody and buttery and extremely savory, just the way i like it. Another option for carnivores would be the grilled pork chops, which is one of Executive Chef Gary Clarke’s favourites. For a lighter and more responsible meal, the Baked Sustainable Halibut ($29.90) cannot be missed. 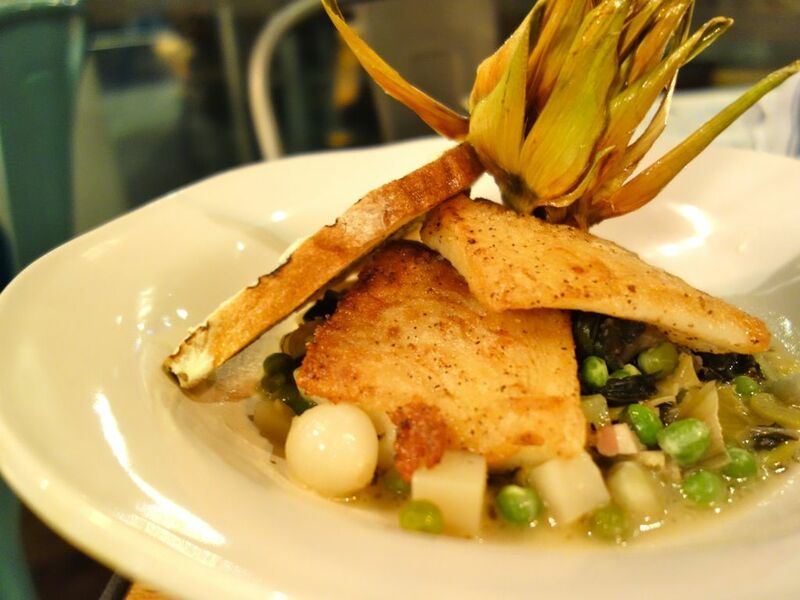 The sustainably fished Norwegian halibut has a nice lightly salted crust and comes paired with a vignole- a Roman white wine spring vegetable stew made with pancetta, baby onions, artichokes, broad beans, peas, Swiss chard, asparagus, mint and baby gem lettuce. Remember to soak that crostini smeared with a lemony basil yogurt dressing into the broth. S loved this dish and finished most of it. 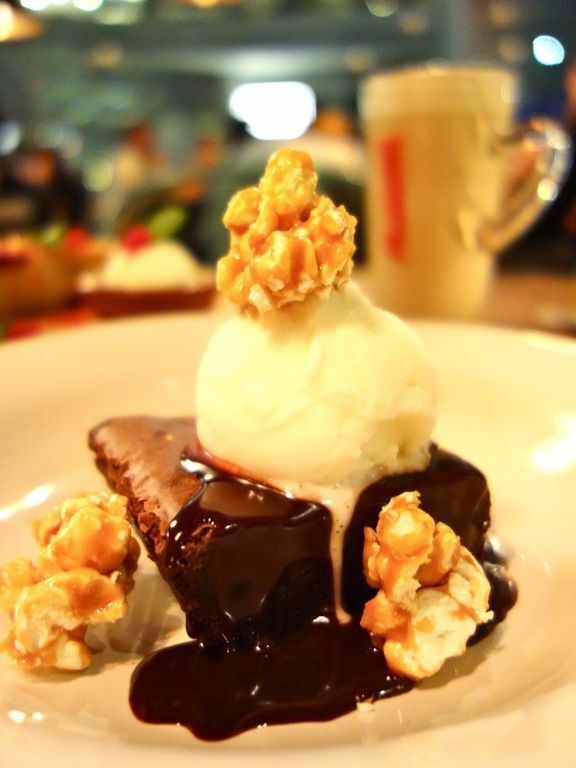 If you love chocolate, forget everything and just order the Epic Brownie ($11.50) with amaretto ice cream and caramelized amaretti popcorn. Made with 70% cocoa solid chocolate, this was super gooey and rich. I could taste a hint of salt which brought out the intense chocolate taste. Sweet and savory anytime! If the brownie were warmer and the ice cream less icy, this would be the ULTIMATE dessert. Pair this (or the lovely tiramisu) with the award winning Italian coffee from Musetti. My latte ($5.50) was smooth and milky. It would have put me to sleep with happiness if not for the caffeine. 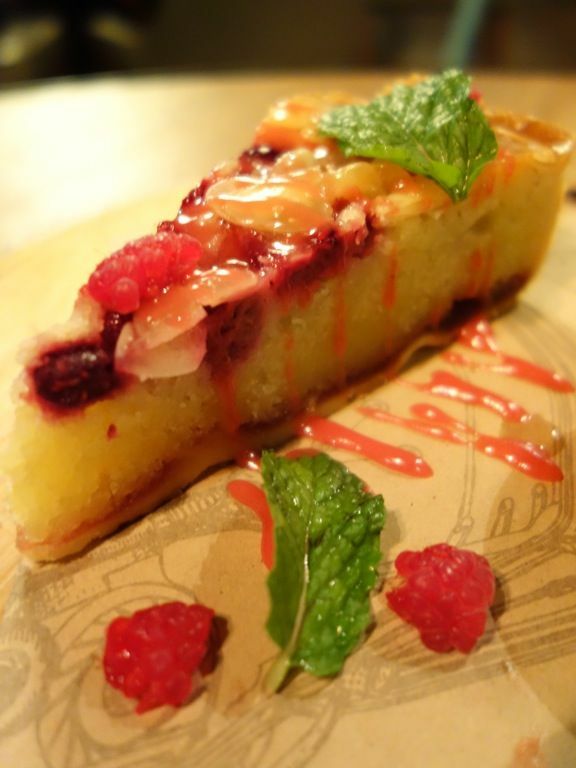 The Raspberry Frangipane ($9.50) is a nice complement to the sweet brownie with the tart raspberries and nutty almond filling. The center was a little too soggy for my liking but the outer crust was nutty and crunchy. Yums. Now if they could work on the overall consistency of the texture. Another area of improvement would be their drinks. 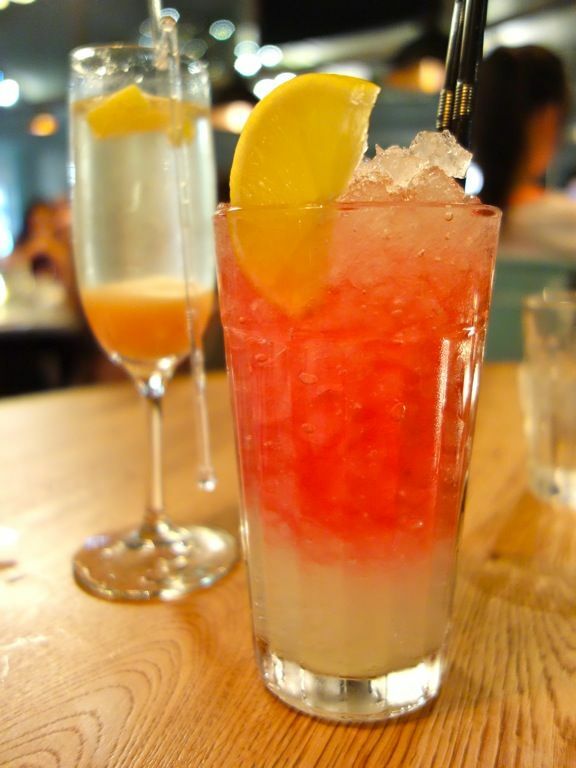 My Florence Fizz ($16.50) tasted like cough syrup and i sent it away after 1 sip. The Ginger beer ($6.50) was spicy but dilute.